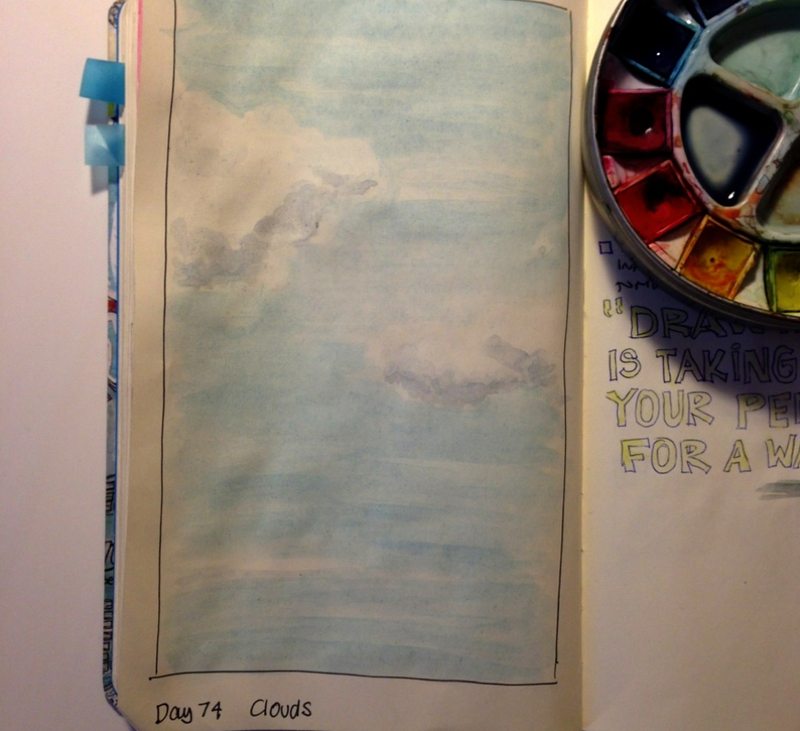 Today's challenge was to draw clouds. I love watching clouds from above, in a plane. It's always sunny above the clouds. I really like watching the big fluffy ones that look like giant cotton balls. They sometime create amazing landscapes of giant cloud mountains and it's fun to imagine myself walking on them.